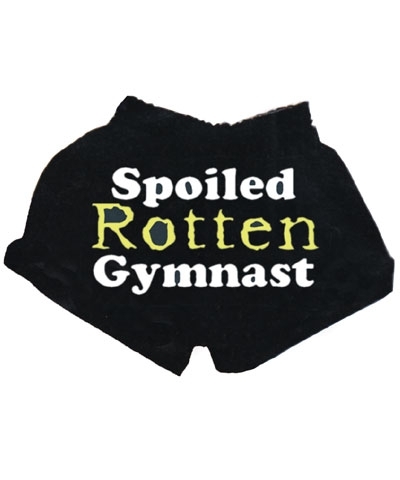 Spoiled Rotten Gymnast Black V-notched Shorts. 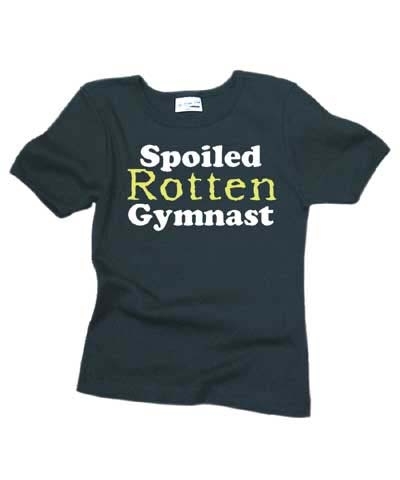 Please note the Spoiled Rotten Gymnast logo is in white and not green and white as pictured in the catalog. The 7.3 oz, 60% cotton, 40% polyester fabric of these shorts resists shrinking. The waistband is exposed elastic with side vents that say "classic" V notch shorts. The adult sizes have a 3" inseam and the youth sizes a 2" inseam.